Buffalo chicken and mac and cheese are a heavenly combo. 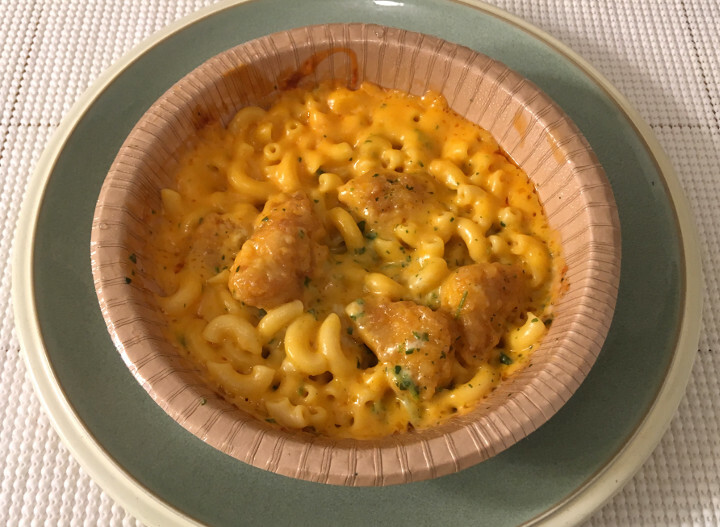 In fact, one of our favorite frozen meals of all time is a buffalo mac and cheese dish (Devour’s take on the dish is to die for). 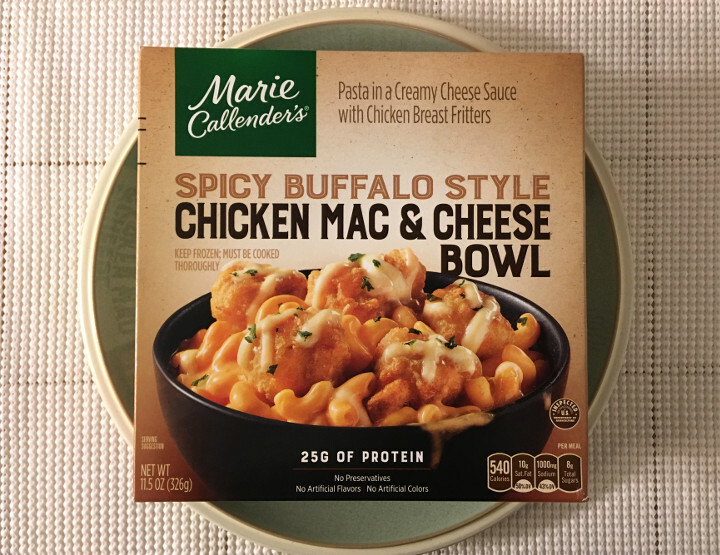 So you can imagine how excited we are to finally be trying out Marie Callender’s Spicy Buffalo Style Chicken Mac & Cheese Bowl. This bowl is pretty simple to make. Just pop it into the microwave for four minutes, give it a good stir, and put it in for another 60 to 90 seconds. Boom. 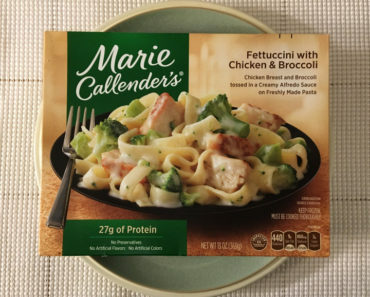 It’s a tad bit longer than the cook time for your average frozen meal, but this dish is worth a little extra time. Now, one of the unfortunate aesthetic things that happens to the Devour version of this meal is that the cheese ends up with an unappealing spongey look. 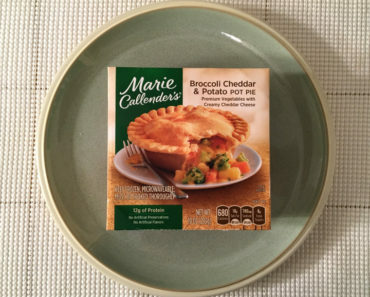 With the Marie Callender’s version, that’s not as much of a problem, as you can see in our image below. The flavor is great. It’s really hard to argue with the combination of buffalo sauce with a nice cheddar cheese sauce. We love it. 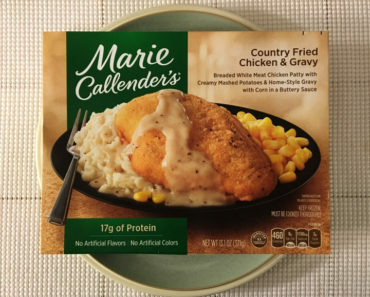 This stuff is so good that you’ll be scraping the bottom of the dish to get every last drop of it, and you’ll be sad when it’s all gone. It also has a little bit of a bite to it, but we wouldn’t say it’s super spicy. Of course, because the sauce is so good, it covers up some of this meal’s flaws. Yes, we said flaws. This is not a perfect meal. The chicken isn’t great — it’s a bit chewy, and the breading is soggy. It also doesn’t taste very good. Again, you won’t notice the flavor of this chicken all that much because of how potent the sauce is, but still, in those little moments where you can taste the chicken, you’ll probably be a little disappointed. We also found the noodles to be a bit mushy. They weren’t mushy enough to be a dealbreaker, but we would have liked our noodles a little firmer. This is no low-calorie affair. In fact, this buffalo mac and cheese dish rivals Devour’s in the calorie department, with 540. The sodium is no slouch either — 1,000 mg is nothing to scoff at. 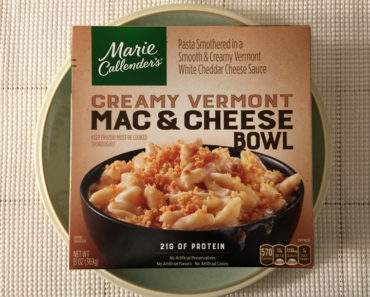 The Marie Callender’s Spicy Buffalo Style Chicken Mac and Cheese is great. It doesn’t measure up to the impossible standards set by the Devour Buffalo Chicken Mac & Cheese, but it will definitely ease a buffalo mac craving when one ariese. 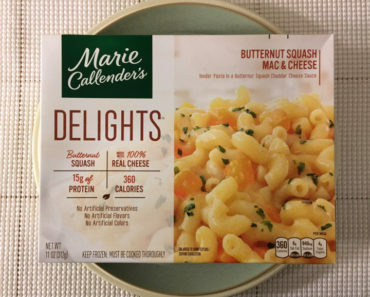 To learn more about the cooking instructions, nutrition content, or ingredients in this Marie Callender’s frozen mac and cheese dish, check out our package scans below.